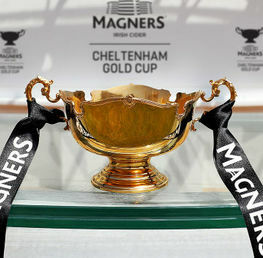 In many ways, the 2018 Timico Cheltenham Gold Cup is taking a much more background role this year. 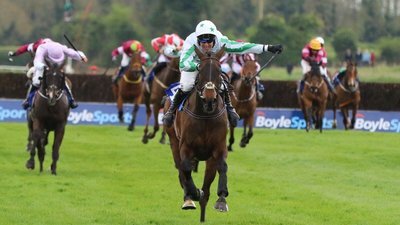 With the media frenzy surrounding the comebacks of Douvan and Faugheen, along with the rise of potential headliners such as Samcro, Apple’s Shakira and Getabird, it’s almost as if the biggest race of the week has been completely forgotten. It’s not all together surprising. The field is not the greatest ever assembled. With the glaring omissions of Thistlecrack, Sizing John and the early season prize grabber Bristol De Mai, the race has so far failed to be at the forefront of the Festival talk and speculation. And wrongly so! A mouth-watering dual is most certainly on the cards as the Nicky Henderson trained King George winner Might Bite looks to take on the more experienced Native River. It’s also a fairly open affair as some of the bigger priced entrants have first class credentials. The drawing board can provide an array of strategies and ideas. 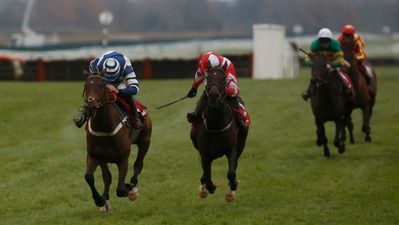 Colin Tizzard’s board came to the conclusion that his dual 2016 Ladbrokes Trophy (formerly known as The Hennessy Gold Cup) and Welsh National winner Native River had a busy campaign last season. Subsequently, the 8 year old has had a light preparation for this year’s second tilt at the big one. The one run this season at Newbury in The Denman Chase was convincing enough to provide one of the best performances of the season. Jumping with confidence and enthusiasm whilst finishing with a speedy flourish, Native River will surely go to Cheltenham with far more in the tank than last year. With the ground softening up, the conditions are ideal. There are plenty of reasons to also think that the horse has improved with age. He’s everything that a Gold Cup horse should be: slick jumper, versatile galloper and vast staying power over soft or softer ground. Price wise, the deal was done at 10/1 before the Newbury race but 11/2 (William Hill) is worth taking now. If Nicky Henderson has ironed out Might Bite’s quirky flaws, then the long time Gold Cup favourite could take some beating. 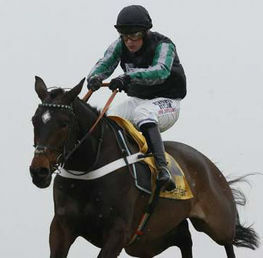 He was awesome at Kempton on Boxing Day. Running his rivals ragged, he galloped relentlessly, pinging his fences with dominant precision and proving himself as the leading staying chaser in the country. However, it’s open to speculation just how good that form was. Thistlecrack was nothing like his best, it wasn’t Bristol De Mai’s kind of track and the placed Tea For Two and Double Shuffle are not exactly household name class acts. Henderson has also come out and said that soft ground would not be ideal for his 9 year old. His infamous run in the RSA Chase last year where he veered comically out of control will not be forgiven in a race like The Gold Cup; there will be far better horses than Whisper to take advantage of an error like that. Might Bite needs to prove himself a little more to justify favouritism for me. 100/30 best (Betfair). Our Duke has generated a lot of ante post support since his impressive win over Presenting Percy in the Red Mills Chase at Gowran Park last month. He’s also been lightly raced in recent years which seems to be a favourable trend for Gold Cup winners. 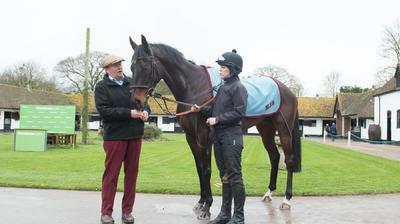 Another positive is that he is from the same yard as Sizing John and with a similar preparation. 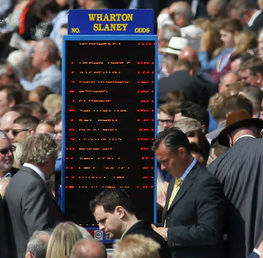 He’s open to improvement and makes a great each-way proposition at 7/1 with William Hill. Horses don’t get much darker than Killultagh Vic. Trained by Willie Mullins, this former Festival winner (Conditional Jockeys handicap hurdle) has only had a handful of runs in the last four years, so backing this would be mainly down to sound bites (10/1 William Hill). Mullins’s Ladbrokes Trophy (formerly known as The Hennessy Gold Cup) hero Total Recall makes much more appeal as this horse looks to be the real deal for stamina and jumping prowess. Lacking in experience would be the main worry with this one (16’s with William Hill, Coral). Finally, Definitely Red should be highly considered as a livewire chance based on his very impressive 8 length win at HQ in The Cotswolds Chase. The only concern would be whether he can cope at this level but he’s very open to improvement. We went for Native River last year and he gets the nod also this year. Colin Tizzard’s shrewd tactic of lightly racing him may well do the trick. He has confirmed himself at the highest level consistently and this is the right credential for a Gold Cup winner. He will also appreciate any further cut in the ground, which now looks likely. Total Recall for the each way. 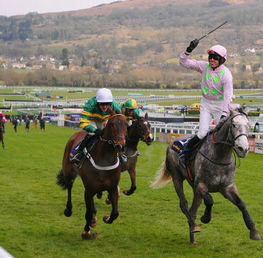 Best of luck for all races at The Cheltenham Festival!